P.B. 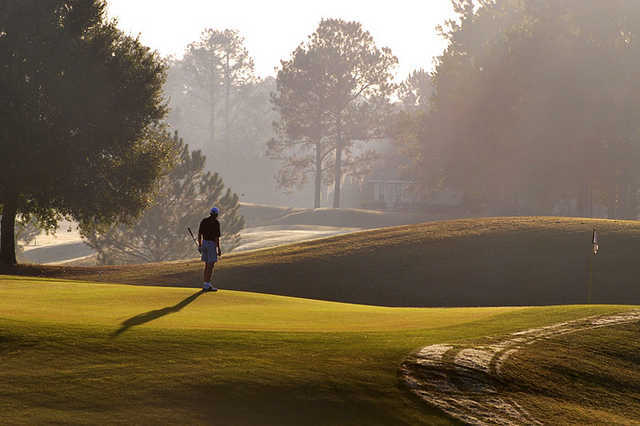 Dye-designed Black Bear Golf Club offers good value and a challenging day. Six sets of tees give you plenty of options. 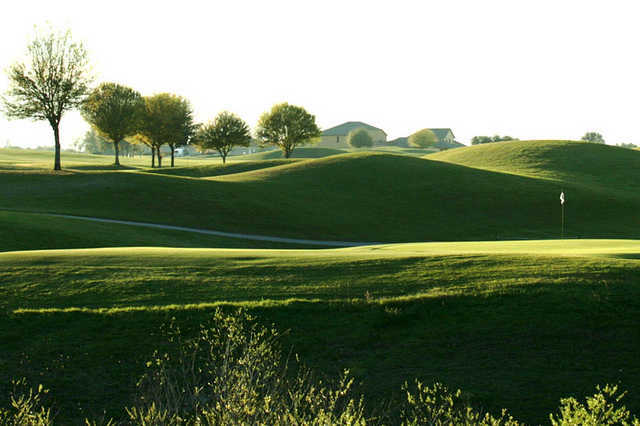 This 18-hole championship facility course, located within 45 minutes of the Orlando attractions boasts of a complete practice facility that includes a double ended driving range, as well as a 40,000 sq. ft. short game area. 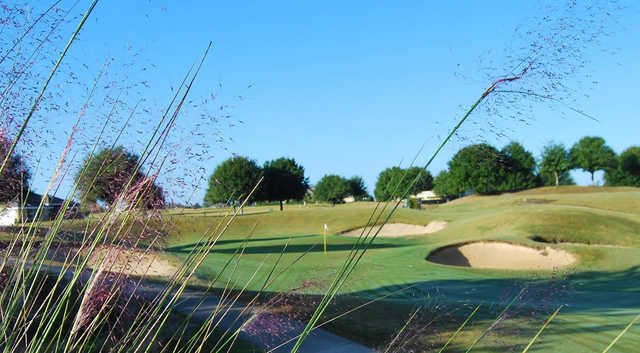 Golfers at Black Bear can count on the Dye trademark touches which include sandy waste bunkers, undulating greens and dramatic elevation changes-in short, Black Bear Golf Club is most definitely a "do or Dye" golf course. 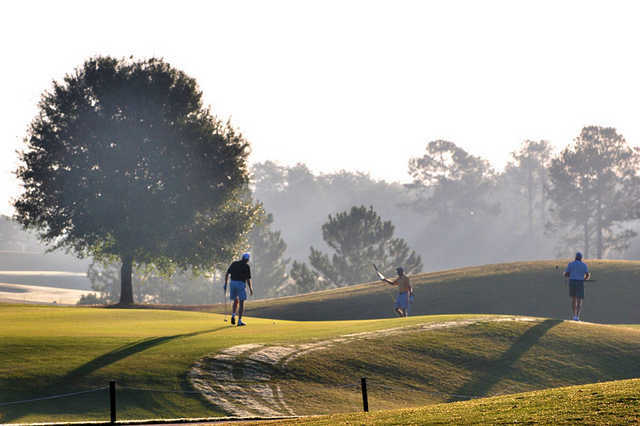 If you’re looking for some of the best golf between Ocala and Daytona, there is no better choice than Black Bear in Eustis. Black Bear is a P.B. Dye design and from the looks of it, his father would be proud. 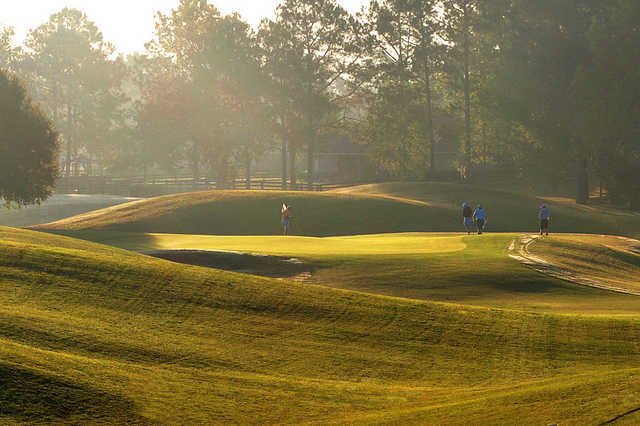 What it lacks in Pete Dye trademark railroad tie bunkers and risk reward carry-the-water holes, it makes up for in fairway bunkers and difficult greenside bunkers many of them nestled into the surrounding mounds. In all, there are over 120 bunkers throughout the layout. 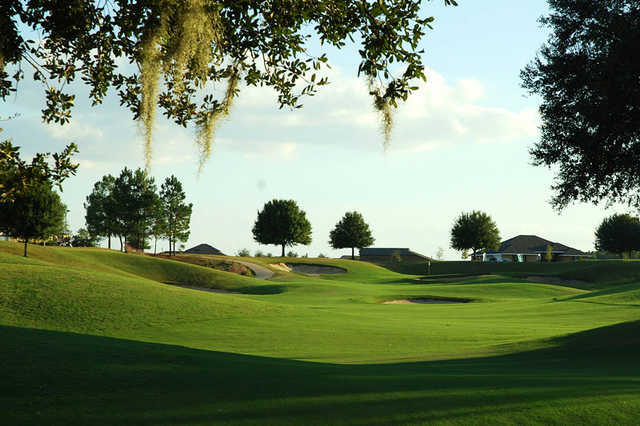 Over the years, Black Bear has served as a qualifier for the Florida USGA Publinks Championship, as well as the Hooters and Canadian tours and the Florida PGA. 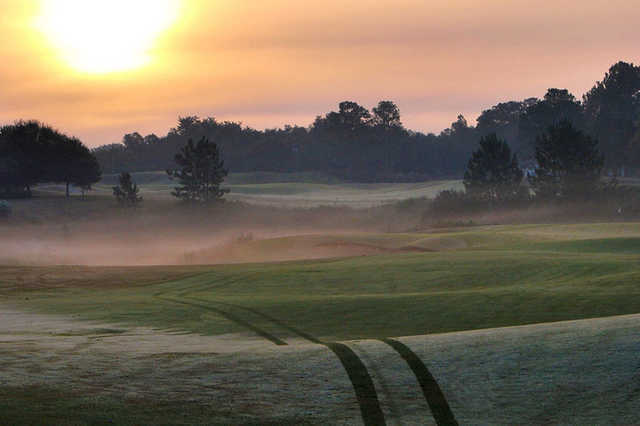 Black Bear was chosen not only for the great course but also for the practice facilities; they are some of the best in the entire Orlando area. In addition to a double-ended driving range, there’s a 40,000 square-foot short game area complete with sand traps and a large putting green. One of the things you’ll want to be sure and practice on the range is your lob shot; it will come in handy on those holes where your approach shots miss the green. On several holes, finding the fairway off the tee can be easier than at most courses; the mounding and dunes on the peripheries tend to funnel the ball back into the middle. Approaching the green from the short grass is a definite benefit as you’ll need all the help you can get to hit some of the smallest greens in the area. It’s not uncommon to find a green that’s over 150 feet long but only 35 feet wide. Or vice versa. The dunes also serve to isolate each hole, giving you the feeling that your group is the only one on the course. Although this Bermuda rough may not look difficult in its brown, dormant state, it’s cut short and still provides the same challenge. The greens at Black Bear are a story all to themselves. Collectively, they are probably the smallest greens I have played in Florida. That said, there are a couple that are about 150 feet long, but only 35 feet wide or deep! Like the rest of the course, there’s a lot of undulation in the greens, and they are typically quick. The par 4, 6th hole is a slight dogleg left that plays 351 yards from the Black Tees. Be sure to avoid the waste bunker on the left that sits well below the fairway, it makes getting on in regulation very difficult. A good drive will leave a short to mid iron approach shot to a well-elevated green and may require an extra club. The green presents a difficult bump and run opportunity; in addition to being elevated, it’s fronted by deep bunkers on either side as well as two in back. Number 9 has the Dye name written all over it as evidenced by the pot bunker that sits in the middle of the fairway. From the Black Tees, the hole plays 391 yards, so for most golfers the bunker is not in play off the tee, but rest assured, it’s there. Your approach shot needs to carry the green as another massive bunker with a huge lip sits directly in front. Par is a good score here. 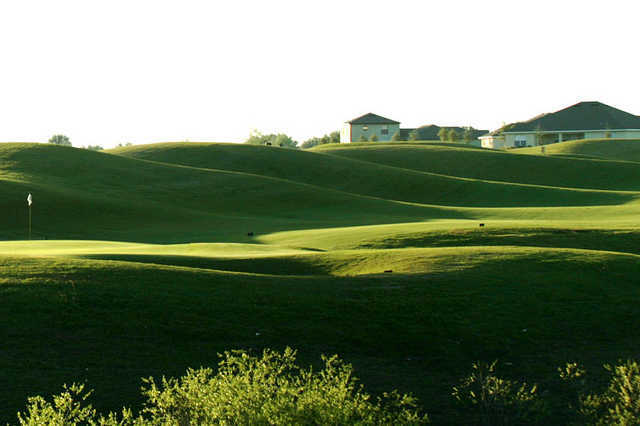 The 388 -yard Par 4, Number 10 is another hole that doglegs slightly to the left, daring you to try and cut the corner, however with out of bounds looming down the entire left side of the tee, the risk outweighs the reward. Playing down the right side may add a little length to the hole, but it also provides an easier approach as it takes much of the sand and water on the left side out of play. At only 107 yards from the Black Tees, number 15 may seem like a pushover but the bunkers and green suggest otherwise. This short hole has no less than 9 bunkers around the green awaiting errant tee shots and the green is over 50 yards long and only 15 yards wide. The undulation in the green also makes for some interesting putts. 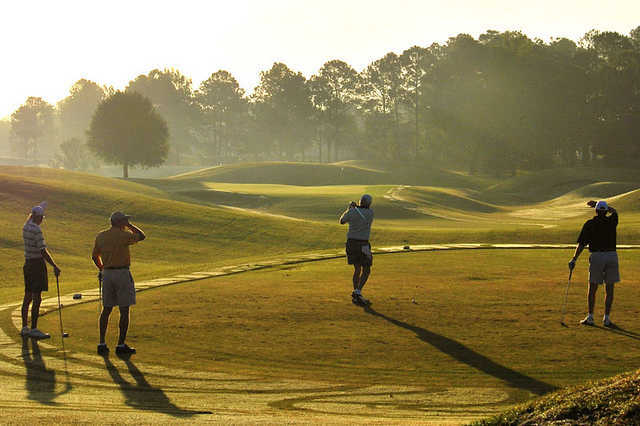 The two finishing holes at Black Bear Golf Club not only define the course, they are two of the three hardest holes on the course. Number 17 plays 413 yards from the Black Tees. Hitting a good drive often catches the downslope in the middle of the fairway and leaves a manageable shot into a green that sits about 30 feet above the fairway. Anything left and short is likely to find one of the 4 sand traps that adorn the area. Water comes into play on Number 18 and dominates the hole. From the Black Tees, anything hit longer than 265 yards is likely wet. The hole is 386 yards long with a bunker in the landing area on the right side. A good drive down the middle will still leave about 140 yards over water into an elevated, long, narrow green with a bunker back right. End your round with two pars or better and there’s a good chance you’re in the money! Last Word: If your golf course has the name “Dye” associated with it, odds are you’re going to garner some special attention, and rightfully so. P.B. Dye has done an excellent job with Black Bear, taking full advantage of the sandy, rolling terrain. The elevation changes are significant for this part of the state and the elevated greens have you constantly thinking about club selection. There’s plenty of room off the tee which is good, because Black Bear is all about your approach shot. You’re often playing uphill and into odd-shaped greens, many of which are very long yet extremely narrow. There’s also a lot of undulation in them. If you’re going to post a low score at Black Bear, you’ll need to have one of your best days of chipping, pitching and putting. In the event your highly competitive golf match is tied at the end of 18 holes, Black Bear offers a way to break the tie: The 19th Hole, a short shot over the water to settle the score once and for all. 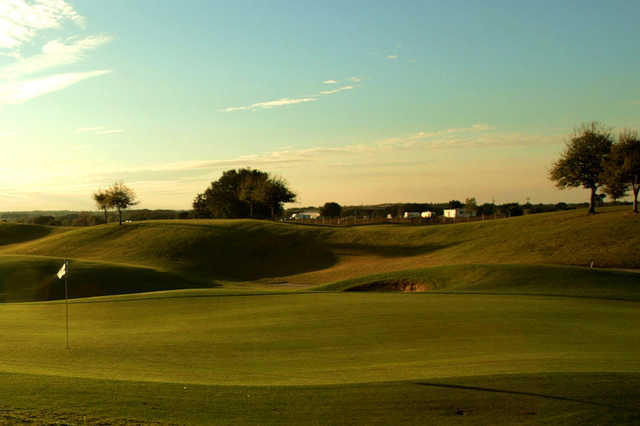 The course allows golfers of all abilities to have some fun and enjoy the challenge of playing a wide open but challenging tournament standard undulating links style layout. 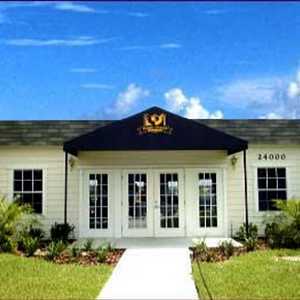 Black Bear’s clubhouse features a pro shop with all of the necessary golf accessories as well as men’s and women’s “Dare the Bear” logoed golf apparel. The restaurant/lounge serves breakfast and lunch as well as all of your favorite libations. They have all of the traditional clubhouse food as well as some not so common items such as Bavarian pretzels with white cheese sauce and gyros. For what you get, the greens fees are more than reasonable. In season rates are ridiculously low and off season or “shoulder” rates often include something “extra” such as a hat, polo or lunch. Played this week, and I have to say the overseeding has come along nicely. Greens were good. I noted they have a new car fleet since last year, so no hold-ups despite the busy day. Will be back! The course just seems to keep getting better. Have played it now about 6 times in the last year and I am always very pleased with the improvements. Its also about the best value for a high quality course in the Orlando area. I played the course recently - it is in great shape. Huge improvements over the last several months. New owners are apparently taking their new business seriously as all areas of the course have improved. 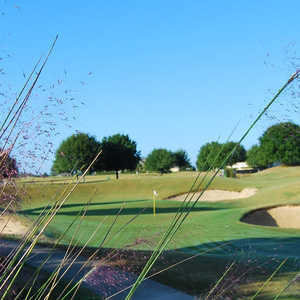 Greens are now about the best in Central Florida; bunkers are now looking great with new white sand and the clubhouse has new furniture - keep it up! 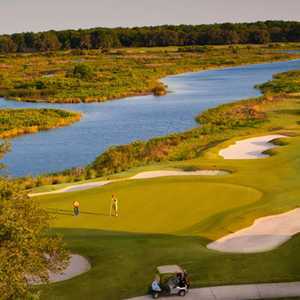 This is one of the best golf courses in Orlando. A wide open course with lots of elavation changes and challenges.